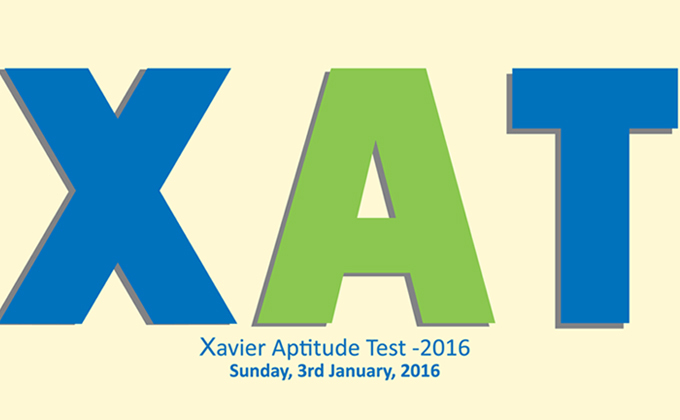 a. XAT-2016 would be conducted on first Sunday of January, like every year. b. It would be a pen and paper test, without normalization of marks. c. The test would be split into two: 1. Aptitude Test 2. Essay and GK. The Aptitude section would consist of: Verbal and Logical Ability, Quantitative Ability and Data Interpretation, and Decision Making. d. The cities in which the test would be conducted. e. The eligibility criterion remains same. f. The mode of payment are same. a. XLRI application has been embedded with XAT application. Candidates applying to XLRI do not have to fill up two separate forms. b. This year application is mobile-friendly and candidates can fill in the form through mobile phones. 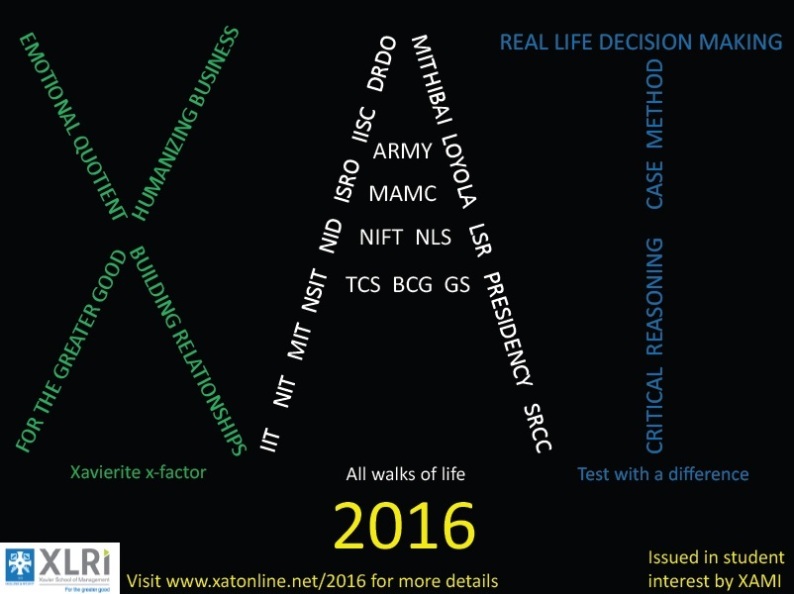 c. Unlike previous years, XAT-2016 would be conducted for three and a half hours. The main question paper (Aptitude component)has to be answered within three hours, followed by half an hour for Essay and GK. The increased time has been allowed to help students attempt more questions. We expect that this would increase the spread of marks among test takers. This step is likely to improve differentiation power of the test. I simple words, Institutes using XAT score can be more confident about the difference between a good and bad candidate. d. The negative marking for wrong answer is likely to change. Further, negative marking may be introduced for un-attempted question. Negative marks for wrong answer and un-attempted question may vary. However, the final decision has yet to taken on it. This step would further help in differentiation among candidates. e. Number of questions may come down by 5-10.